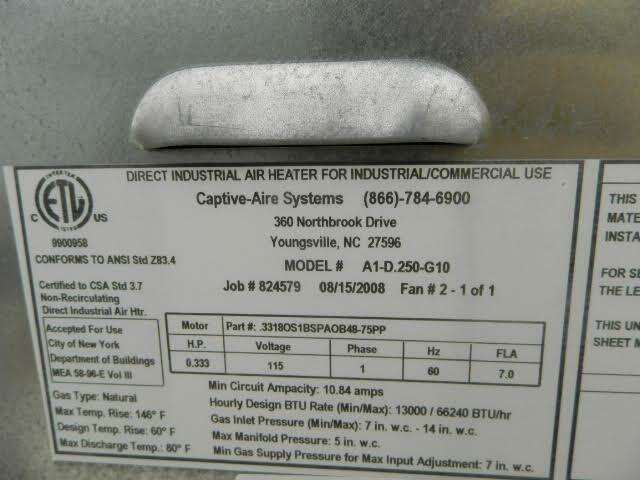 How to determine the date of production/manufacture or age of CaptiveAire® HVAC Systems. The date of production/manufacture or age of CaptiveAire® HVAC equipment can be determined from the job number and date located on the data plate. Description: Date of build is located on the data tag along with the Model #, and Job #.